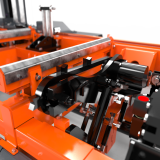 As Wood-Mizer’s next generation flagship industrial sawmill, the WM4500 continues a long tradition of providing commercial sawmilling equipment solutions throughout the world. 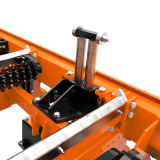 Featuring many benefits of Wood-Mizer’s world renowned industrial sawmill range, the WM4500 can be used as a primary headrig to saw pallet boards, grade or dimensional lumber or to breakdown logs for further processing. 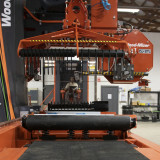 Alongside the complete range of Wood-Mizer sawmills, the WM4500 headrig capitalizes on thin-kerf blade technology to produce accurate lumber while reducing capital, material, labor, energy, and maintenance costs. 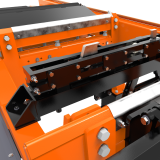 The WM4500 industrial sawmill comes with a 1-year warranty and is backed by the same legendary service, quality, and safety features shared by the entire family of Wood-Mizer wood processing equipment. 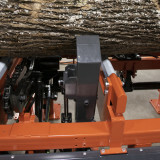 Reinforced dual-rod side supports stop heavy logs when loading and support material while sawing. 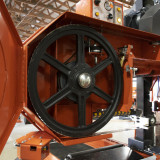 Auto power conveyor with new suspension roller to swiftly assist material flow. 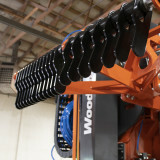 Comes standard with two cinch clamps to pull cant down while sawing. Roof-top style bed rails reduce debris on the bed and have less hang-up when dragging off material. Heavy-duty wheels accomodate 2" wide blades for enhanced performance. 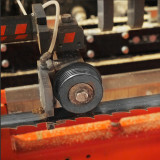 Longer lasting 3" diameter blade guide rollers and 2" wide blades. 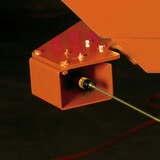 Heavy-duty metal bars and adjustable material drag back simultaneously pull material back with head. 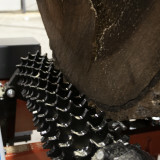 Heavy-duty, high-speed forward/reverse turners for maximum log control. 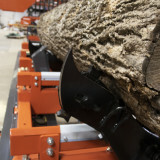 Mounts to floor to remove stress from the sawmill bed. With the built-in laser, the operator always knows the cut line. 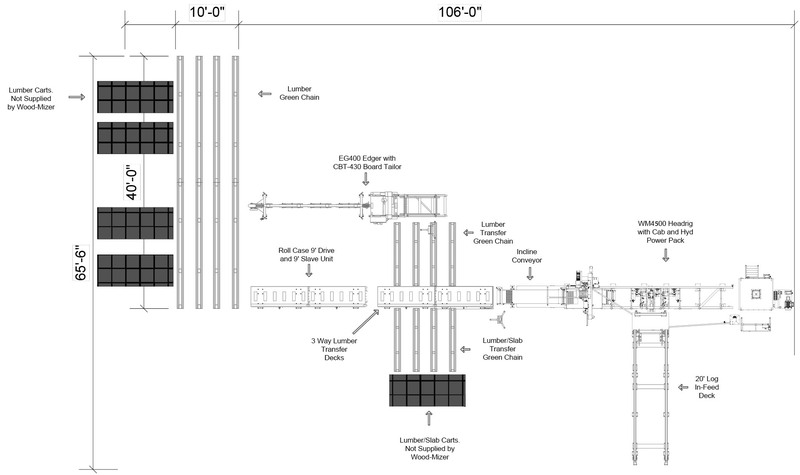 Provides a comfortable working environment and clear visibility for the sawmill operator. 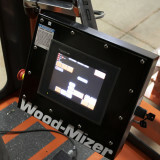 High tech, state of the art Human Machine Interface (HMI) plus built in diagnostics.